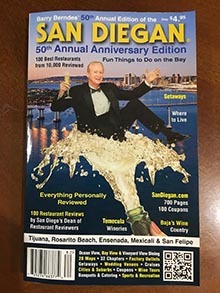 The reason for this website and the reason for the publishing of the SAN DIEGAN was that the publisher of the SAN DIEGAN was an officer in the military stationed here in San Diego and had the good fortune of growing up in San Diego as well. So when he was discharged he decided to write the print version of the SAN DIEGAN, which is now also online, to share his knowledge with you. So now you can acclimate yourself to the best duty station in the world with ease. Unlike a lot of other far-flung bases in remote places in the world, most of San Diego’s military bases are in the hub of the city. So being in the city or city close makes it easier to acclimate to the California lifestyle versus being miles away from the nearest town and standing out like a sore thumb when you do get to town. John J. Montgomery, who is credited with making the first controlled flight in a fixed-wing aircraft in the area, and everyone from the city mayor to the street cleaners have served in the military from one time or another. Plus, San Diego’s fabulous natural harbor has lent itself to being a natural for being a secure port for military ships. So San Diego has a long history of loving ships and airplanes. In fact, the earliest recording of flying a fixed-wing aircraft was when local resident John J. Montgomery made his flight a year before the Wright Brothers made theirs. So San Diego has always been proud of their association with airplanes and the numerous military air bases and aircraft carriers are part of San Diego’s historic heritage. Yes, San Diego is a very military friendly town. It’s such a warm and welcoming town that everyone who has every been stationed here wants to retire here. So believe it or not, more admirals are retired here in San Diego than anywhere else in the world. So what is good enough for them is obviously good enough for everyone else. So don’t be surprised to discover that there are tens of thousands of retired military living here too. San Diego is all about urban sprawl. So while San Diego’s mass transit system is ever improving with its huge bus system and rail commuter service, no one should ever count on being on time for muster by taking the mass transit to get to the base on time. So having a car or a buddy who has a car is the only way to get around. To help you out, we have searched for car dealerships that cater to the military and often give discounts to the military and we only recommend dealerships that hire military or are owned by former military personnel. It’s not that we are biased, well okay we are biased, because we all know of someone being taken advantage of and we don’t want that to happen to you. Being a military friendly town, we have also compiled a list of companies that offer military discounts and the offers range from dining to attractions and everything in between. Somewhere down on our list of essential information is banking and home loans, because we know that there is no housing available for officers and senior military men. A company that is so committed to the military that they have put one of the military branches in their name is the Pacific Marine Credit Union, which has offices on bases or are always a block away from the main gate of bases. What’s good here is that credit unions are not limited to just the military or even to one branch of the military. On the contrary, anyone can join a credit union. But all banks are interested in catering to the needs of the military, so you’ll find lots of other banks with solid reputations near the main gates of bases throughout the county. The Military Family Housing Offices on all of the bases do a fabulous job in getting you the best housing. And you’ll be impresses with where the military housing is often located, because being a military friendly town you could be living in Pacific Beach near the ocean or on the Silver Strand with a view of the ocean in romantic Coronado. And the quality and upkeep of military housing is good. Likewise, affordable housing abounds for military families of senior enlisted men and officers. With equity from selling a home at your previous duty station you are welcomed with open arms by lots of respected new home builders including military friendly Brookfield Homes. Family-friendly San Elijo Hills near the Camp Pendleton Marine Base in San Marcos is currently offering great new homes with one builder offering solar powered homes. So with equity from a recently sold home and VA loans you can find the home of your dreams in San Diego. Overall, the SAN DIEGAN website is geared for newcomers to San Diego. Thus, every suburb features a handy map created by the SAN DIEGAN as well as a Google map. They we add personally reviewed information about each city and suburb based on our own experiences. So the numbers in the text correspond to their location on the maps. And of course, everyone’s passion is eating. So we have dined in every place that we recommend and include prices, hours and credit cards. Then our handy Discount Coupon page offers you lots of incentives for where you’ll want to spend your money. 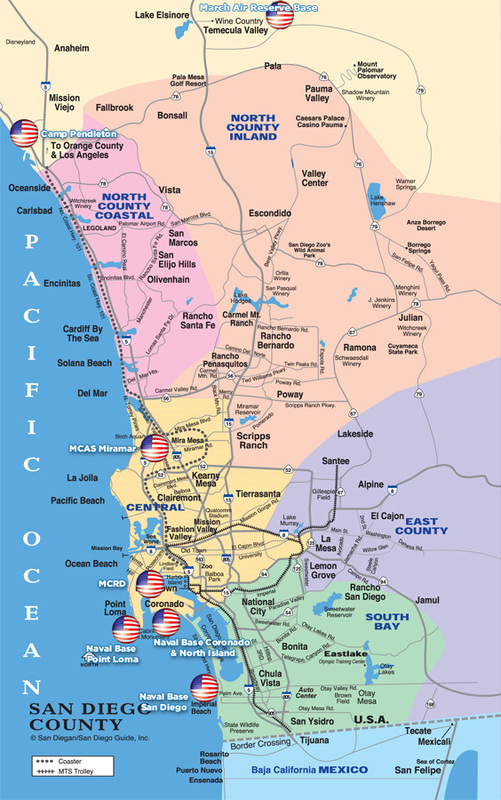 Click on one of the American flags on the interactive map below to read about the different San Diego military bases. Many military families are looking for a new home to buy, especially given the great support available for discounted prices for military buyers and the availability of federal home loans. Brookfield Homes is a popular home builder in many key areas commuting distance from military bases, especially Chula Vista and North County. They offer quality homes, at affordable prices and special promotions for military home buyers. Visit their website at brookfieldhomes.com to learn more. The base was established in 1942 to train U.S. Marines for service in World War II. By October 1944, Camp Pendleton was declared a “permanent installation” and by 1946, it became the home of the 1st Marine Division. It is named after Marine General Joseph Henry Pendleton, who long advocated setting up a West Coast training base for the Marine Corps. Today it is the home to myriad Operating Force units including the I Marine Expeditionary Force and various training commands. Discover great restaurants, attractions and things to do around Camp Pendleton in Oceanside & Carlsbad. A great place to stay for our military servicemen’s friends and family is Days Inn Oceanside which is a mile away from Camp Pendleton. Comfortable suites feature high-speed wireless Internet, refrigerators and microwaves, as well as in-room coffee, irons, ironing boards, hair dryers, guest laundry, daily newspaper and cable TV with HBO. The Inn overlooks the Harbor and is within walking distance to the beach, harbor and restaurants. Marine Corps Air Station Miramar is a United States Marine Corps installation that is home to the 3rd Marine Aircraft Wing, which is the aviation element of the 1st Marine Expeditionary Force. It is located in Miramar, San Diego, California, about 10 miles north of Downtown San Diego. MCAS Miramar is best known as the former location of the United States Navy Fighter Weapons School (NFWS), its TOPGUN training program and the movie of the same name. In 1996, NFWS was relocated to Naval Air Station Fallon in western Nevada and merged into the Naval Strike and Air Warfare Center (NSAWC). During the heyday of TOPGUN at NAS Miramar, the station was nicknamed “Fightertown USA”. It is also home to the Flying Leatherneck USMC Air Museum and the annual MCAS Miramar Air Show. Discover great restaurants, attractions and things to do around Miramar in La Jolla & Mission Valley. Naval Amphibious Base Coronado is a consortium of eight installations employing more than 27,000 military and civilian personnel and encompassing more than 57,000 acres, combining airfields, ports, training ranges and facilities to provide critical operational training and services for the entire Navy under one command. NBC is comprised of Naval Air Station North Island; Naval Amphibious Base Coronado; Naval Outlying Landing Field Imperial Beach; Naval Auxiliary Landing Field San Clemente Island; Silver Strand Training Complex; Mountain Warfare Training Camp Michael Monsoor; Camp Morena; and Remote Training Site Warner Springs. More than 100 tenant commands call NBC home, including eight Flag commands. In addition, NBC provides support to a full range of commercial and military tactical and logistics aircraft and ships. Discover great restaurants, attractions and things to do around Coronado. Naval Base Point Loma consists of seven facilities: Submarine Base, Fleet Antisubmarine Warfare Training Center, Fleet Combat Training Center Pacific, Space and Naval Warfare Systems Command (SPAWAR), SPAWAR Systems Center, the Fleet Intelligence Command Pacific and Naval Consolidated Brig, Miramar. These close-knit commands form a diverse and highly technical hub of naval activity. The on base population is around 22,000 Navy and civilian personnel. 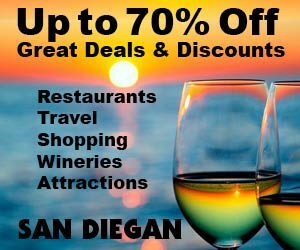 Discover great restaurants, attractions and things to do around Point Loma, Liberty Station and Downtown San Diego. Naval Base San Diego is the largest base of the United States Navy on the west coast of the United States, in San Diego, California. Naval Base San Diego is the principal homeport of the Pacific Fleet, consisting of 54 ships and over 120 tenant commands. The base is composed of 13 piers stretched over 977 acresof land and 326 acres of water. The total on base population is 20,000 military personnel and 6,000 civilians. Discover great restaurants, attractions and things to do around Downtown, Chula Vista and National City. Marine Corps Recruit Depot (commonly referred to as MCRD) San Diego is a United States Marine Corps military installation in San Diego, California. It lies between San Diego Bay and Interstate 5, adjacent to San Diego International Airport and the former Naval Training Center San Diego. MCRD San Diego’s main mission is the initial training of enlisted male recruits living west of the Mississippi River. March Joint Air Reserve Base is located in Riverside County, California between the cities of Riverside and Moreno Valley. It is the home to the Air Force Reserve Command’s 4th Air Force eadquarters and the 452d Air Mobility Wing, the largest air mobility wing of the 4th Air Force. In addition to multiple units of the Air Force Reserve Command supporting Air Mobility Command, Air Combat Command and Pacific Air Forces, March ARB is also home to units from the Army Reserve, Navy Reserve, Marine Corps Reserve and the California Air National Guard. For almost 50 years, March AFB was a Strategic Air Command base during the Cold War. March Air Reserve Base is also home to a great air museum with 70 historic aircraft on display. Since this museum is an Air Force Facility, it was able to obtain all these aircraft like the SR71 to the B26 and many others. March Air Base was established in 1918, before World War 1 and was used for final training before Pacific duty in World War 2. Discover great restaurants, attractions and things to donear March Air Force Reserve Base in Temecula and Lake Elsinore. The Flying Leatherneck Aviation Museum is the only Command Museum dedicated to the history of Marine Corps aviation. The Flying Leatherneck Aviation Museum has more than two dozen vintage and historically important aircraft on display. They range from World War II “Warbirds” to present-day jet fighters and helicopters. The MCRD Command Museum is a historically significant museum dedicated to preserving the glorious history and rich tradition of the United States Marine Corps. This historical museum is visited by more than 100,000 people annually.”A Walking Tour of the MCRD Command Museum” features fourteen galleries, which encompass dozens of exhibits featuring everything from weapons, uniforms, equipment, paintings and photographs of various wars and campaigns the Marine Corps has fought in including WWI, WWII, Korea, Vietnam, Desert Storm, the Gulf War and Operation Iraqi Freedom. The fascinating San Diego Air & Space Museum displays famous aircraft from the dawn of aviation to the space age. You can see aircraft here that you can’t see anywhere else, like the original Apollo 9 Command Module, the only GPS satellite on display in the world and the RQ-1K Predator (UAV), one of only three in the world! Also here at the San Diego Air & Space Museum is the International Aerospace Hall of Fame. Experience the magic aboard one of the longest-serving aircraft carriers in U.S. Naval history, the USS Midway. It’s a must-see San Diego attraction. On board you’ll enjoy a self-guided audio tours for adults and families and more than 60 exhibits and displays throughout the ship. These include the galley, berthing spaces, sick bay, flight deck, 25 restored aircraft and more. The audio tours typically last 3–4 hours and is included with admission. You can launch, fly dogfight missions and land aboard the carrier via optional flight simulators. The Veterans Museum & Memorial Center houses military artifacts and memorabilia from the Civil War to the present. Impressive murals of Pearl Harbor and significant historical military events adorn the walls. The area of San Diego has been inhabited for more than 10,000 years by the Kumeyaay Indians. The first European to visit the region was Portuguese-born explorer Juan Rodríguez Cabrillo sailing under the flag of Castile, who sailed his flagship San Salvador from Navidad, New Spain. In 1542, Cabrillo claimed the bay for the Spanish Empire and named the site San Miguel. In November of 1602, Sebastián Vizcaíno was sent to map the California coast. Arriving on his flagship San Diego, Vizcaíno surveyed the harbor and what are now Mission Bay and Point Loma and named the area for the Catholic Saint Didacus, a Spaniard more commonly known as San Diego de Alcalá. On November 12, 1602, the first Christian religious service of record in Alta California was conducted by Friar Antonio de la Ascensión, a member of Vizcaíno’s expedition, to celebrate the feast day of San Diego. In May 1769, Gaspar de Portolà established the Fort Presidio of San Diego on a hill near the San Diego River. In July of the same year, Mission San Diego de Alcalá was founded by Franciscan friars under Father Junípero Serra. By 1797, the mission boasted the largest native population in Alta California, with over 1,400 neophytes living in and around the mission proper. Mission San Diego was the southern anchor in California of the historic mission trail El Camino Real. Both the Presidio and the Mission are National Historic Landmarks. In 1821 Mexico won its independence from Spain, and San Diego became part of the Mexican state of Alta California. The fort on Presidio Hill was gradually abandoned, while the town of San Diego grew up on the level land below Presidio Hill. The Mission was secularized by the Mexican government, and most of the Mission lands were distributed to wealthy Californio settlers. As a result of the Mexican-American War of 1846-1848, the territory of Alta California, including San Diego, was ceded to the United States by Mexico. The Battle of San Pasqual, a battle of the Mexican-American War, was fought in 1846 in the San Pasqual Valley which is now part of the city of San Diego. The state of California was admitted to the United States in 1850. That same year San Diego was designated the seat of the newly-established San Diego County and was incorporated as a city. The initial city charter was established in 1889 and today’s city charter was adopted in 1931. The original town of San Diego was located at the foot of Presidio Hill, in the area which is now Old Town San Diego State Historic Park. The location was not ideal, being several miles away from navigable water. In the late 1860s Alonzo Horton promoted a move to “New Town”, several miles south of the original settlement, in the area which became Downtown San Diego. People and businesses flocked to New Town because of its location on San Diego Bay convenient to shipping. New Town quickly eclipsed the original settlement, known to this day as Old Town, and became the economic and governmental heart of the city. In the early part of the 20th century San Diego hosted two World’s Fairs: the Panama-California Exposition in 1915 and the California Pacific International Exposition in 1935. Both expositions were held in Balboa Park, and many of the Spanish/Baroque-style buildings that were built for those expositions remain to this day as central features of the park. The buildings were intended to be temporary structures, but most remained in continuous use until they progressively fell into disrepair. Most were eventually rebuilt, using castings of the original facades to faithfully retain the architectural style. The menagerie of exotic animals featured at the 1915 exposition provided the basis for the San Diego Zoo. Significant U.S. Navy presence began in 1901 with the establishment of the Navy Coaling Station in Point Loma, and expanded greatly during the 1920s. By 1930 the city was host to Naval Base San Diego, Naval Training Center San Diego, San Diego Naval Hospital, Camp Matthews, and Camp Kearny which eventually became Marine Corps Air Station Miramar. The city was also an early center for aviation. As early as World War I San Diego was proclaiming itself “The Air Capital of the West.” The city was home to important airplane developers and manufacturers like Ryan Airlines (later Ryan Aeronautical), founded in 1925, and Consolidated Aircraft (later Convair), founded in 1923. Charles A. Lindbergh’s plane The Spirit of St. Louis was built in San Diego in 1927 by Ryan Airlines. During World War II San Diego became a major hub of military and defense activity, due to the presence of so many military installations and defense manufacturers. The city’s population grew rapidly during and after World War II, more than doubling between 1930 (147,995) and 1950 (333,865). After World War II, the military continued to play a major role in the local economy, but post-Cold War cutbacks took a heavy toll on the local defense and aerospace industries. The resulting downturn led San Diego leaders to seek to diversify the city’s economy by focusing on research and science, as well as tourism. Downtown San Diego fell into decline in the 1960s and 1970s but has experienced some urban renewal since the early 1980s, including the opening of Horton Plaza, the revival of the Gaslamp Quarter, and the construction of the San Diego Convention Center. Petco Park opened in 2004.